As the world increasingly fills with things of substance to scream at each other about, it’s nice to occasionally find something absolutely trivial to focus our anger on. Maybe it’s a picture of a dress, and the infuriating properties of light it helps expose. Or maybe it’s a question of which aging white comedy star we happen to be looking at in a three-year-old photo on Facebook. In the latter case, the photo was posted to the group “Reasons My Son Is Crying” back in May 2013. 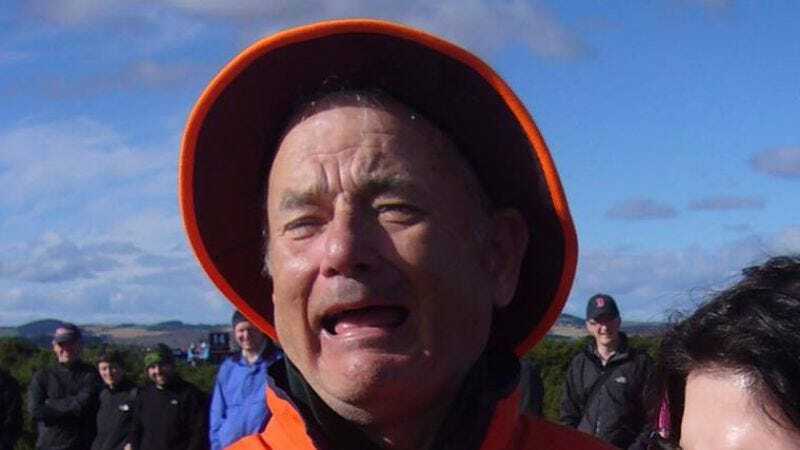 And while the woman who posted it—Laura DiMichele-Ross—has repeatedly assured viewers that the man terrorizing her child is Bill Murray, there are those who still insist it’s actually the Sully star. And hey, we get it: As photographed, with the furrowed brow and the prominent cheekbones, there’s definitely a Hanksian vibe about the man’s face. But also, he signed it “Bill Murray,” apparently, which would be a pretty elaborate prank on Hanks’ part. Luckily for our desperate need for distraction, though, this is the internet, where facts, proof, and even a surprising amount of investigative journalism on the part of the BBC— which tracked down Hanks’ location on the day the photo was taken—can’t get in the way of a good argument.